Derbyshire is famous for its beautiful dales area and rightly so. But it also has an excellent selection of garden centres and plants nurseries. 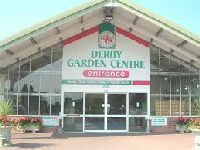 The largest garden centre in the county is Derby Garden Centre run by the Blue Diamond Group with a turnover of nearly £5.5 million in 2013. Next largest is Dobbies in Chesterfield with a turnover of £5.2 million. Many smaller garden centres in Derbyshire contribute hugely to the diversity of plant retailers. Blue Diamond acquired Chatsworth Garden Centre in 2011 and it has several franchises including Lucas Stone manufacturers of stone garden ornaments. This a medium to large sized .... Click here for the full review. Collyer's Nurseries dated back over 75 years and have been in the same family all that time. They concentrate on plants and have a large well laid out selection. Clematis, roses, Japanese maples, shrubs, bedding .... Click here for the full review. This is another up market garden centre from the Blue Diamond group and the format is similar to others garden centres in the same chain. The layout inside and out is modern and unlike a traditional .... Click here for the full review. Dobbies in Chesterfield was first opened in 2007 and it showed a new way forward for large garden centres. In reality it is a shopping mall with the gardening side very much a second best. Visit it and you will .... Click here for the full review. The plants are in good condition and well displayed as you would expect from a largish garden centre. They come with a two year hardy plant guarantee. The choice is good with most common varieties .... Click here for the full review. Findern Garden Centre is a largish garden centre owned by Wyevale Garden Centres. It is laid out and stocked in the same way as many others from the same company. Originally it began life in 1953 .... Click here for the full review. Forest Garden Centre has a very well kept plants area which is well designed and has a good choice of plants, more than enough for the average gardener. The paths are on solid ground and the paths are .... Click here for the full review. The High Peak Garden Centre has been in business for nearly seventy years and is family run. 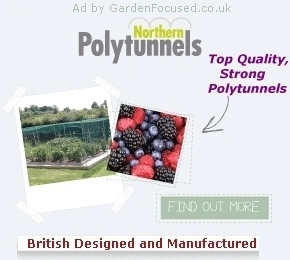 They don't grow their own plants but buy them in from a variety of suppliers in the UK and some from .... Click here for the full review. The official name is Lanes Garden Centre Open Farm and that is exactly what it is. First though this is probably best described as an open farm which sells plants when in season. The best time to visit for.... Click here for the full review. 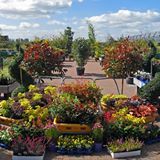 They stock a good choice of stock including shrubs, herbaceous plants, ornamental and fruit trees, hedge plants and summer / autumn bedding. The layout is all very basic which is part of the appeal of this .... Click here for the full review. Riverside Garden Centre in Belper is a typical local garden centre, serving the local community well and supplying them with a good range of plants and garden accessories. It's the largest in the .... Click here for the full review. 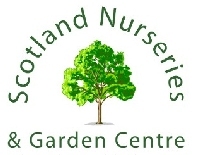 Scotland Nurseries and Garden Centre has been in existence for over 200 years, originally growing hardy plants and trees for sale elsewhere including the Royal household. The nursery side of the business .... Click here for the full review. Staveley Garden centre is set in the grounds of Staveley Hall making it an attractive place to browse through their plant .... Click here for the full review. The Jackson family have been in the horticultural industry for many decades and the current owners, John and Helen Jackson, trained at Pershore College of Education in the 1970s. Swarkestone Nursery opened .... Click here for the full review.